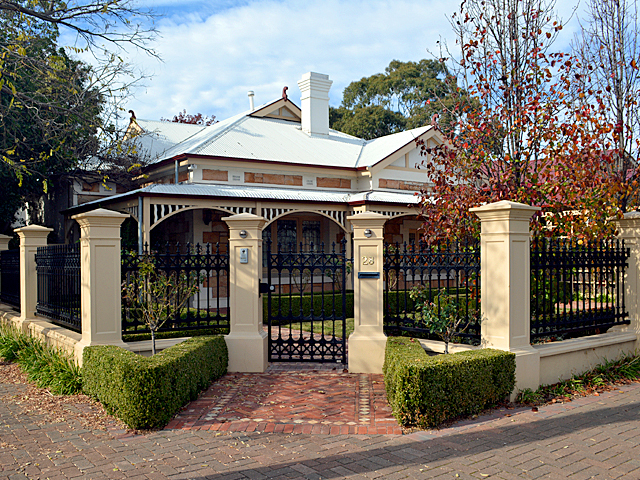 In keeping with the traditional style of this 1910 sandstone villa, CastStone was challenged to create a spectacular entry with a precast sandstone fence that wraps around the corner block of the property. 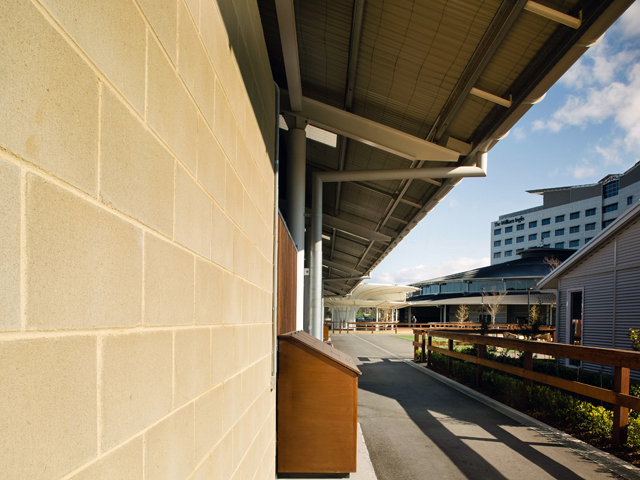 CastStone’s greatest challenge with the installation of the fence was the corner block on which it was situated. The team explored many options about where to place the pedestrian entrance gate throughout the design process. 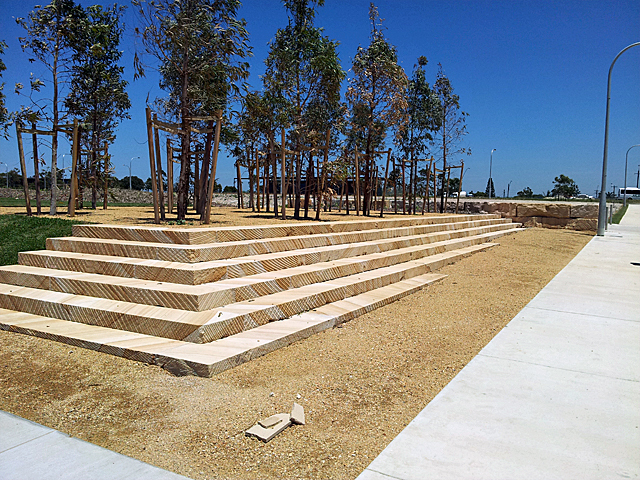 The simplest option is usually to place this point in the middle of the fence along a linear path, but in the case of this project, the owners decided to make a dramatic statement and use the corner as the entrance. 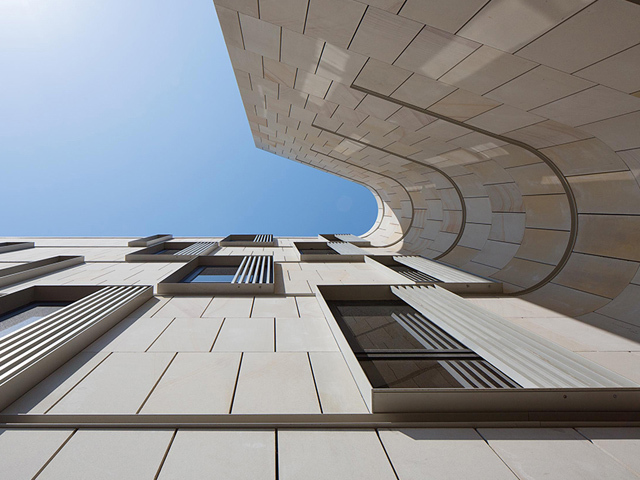 CastStone looked at their options and chose the 252 Pillars from the 250 Series, with a Sturt Design infill. 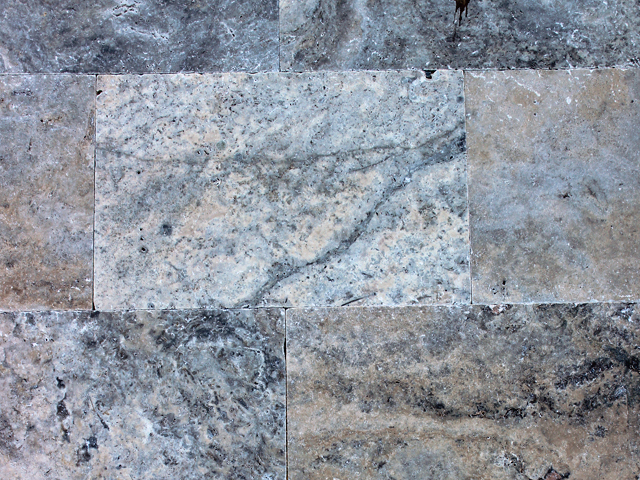 This design is not only stunning and coincides perfectly with the aesthetic of the heritage villa, but also allows for the property to be visible from the street while still maintaining a sense of privacy and security. 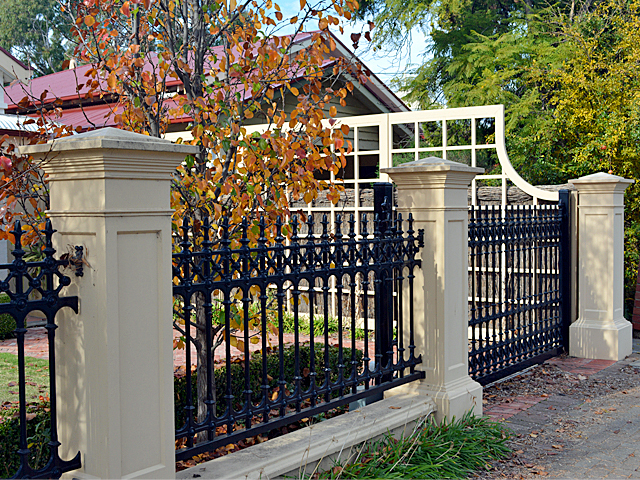 Several additional features were included to enhance the design of the fence. 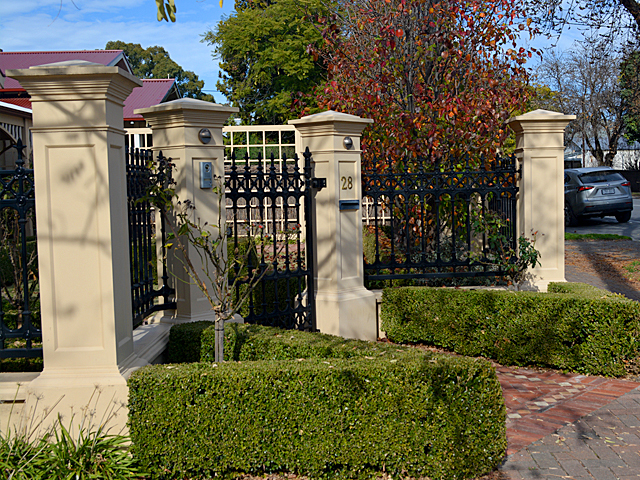 An automated sliding gate was added to the driveway, the surrounding area was paved and landscaped with a box hedge, and two LED lights were installed to frame the gate, highlighting the letterbox, brass number and intercom. 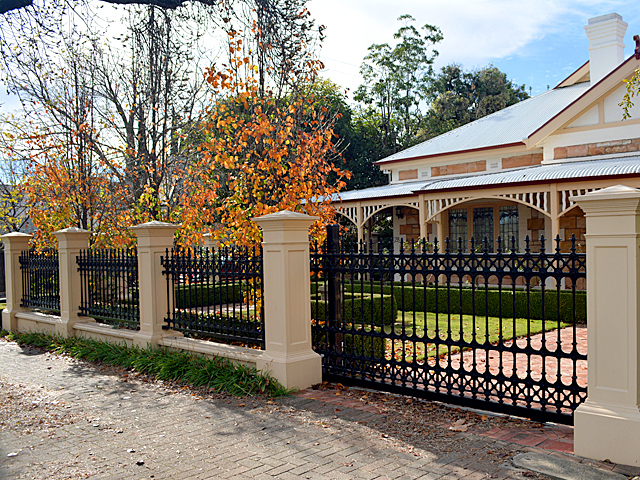 The final result of CastStone's dedicated design and construction work is a spectacular sandstone entry that wraps around the block and perfectly complements the villa’s heritage style. 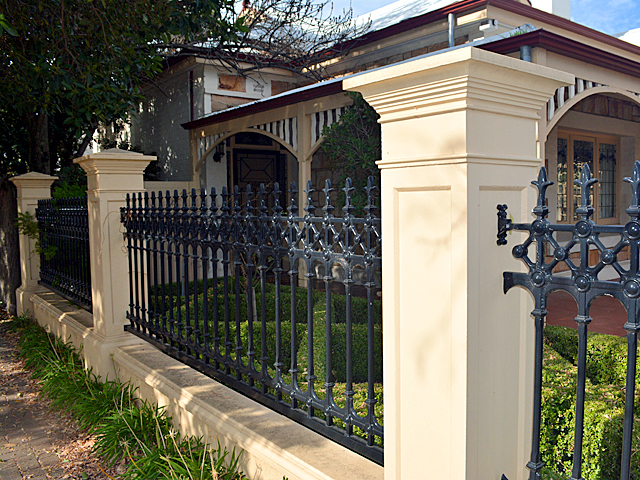 No matter the block size, the shape and undulation, or whether the style is modern or traditional, CastStone has a concrete fencing style to suit any landscape. 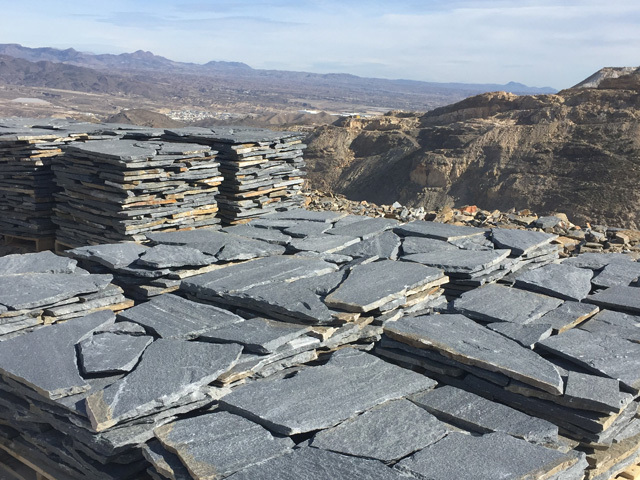 The team have been working with sandstone and concrete fencing, pillars and letterboxes for more than 30 years and offer freight servicing Australia-wide. 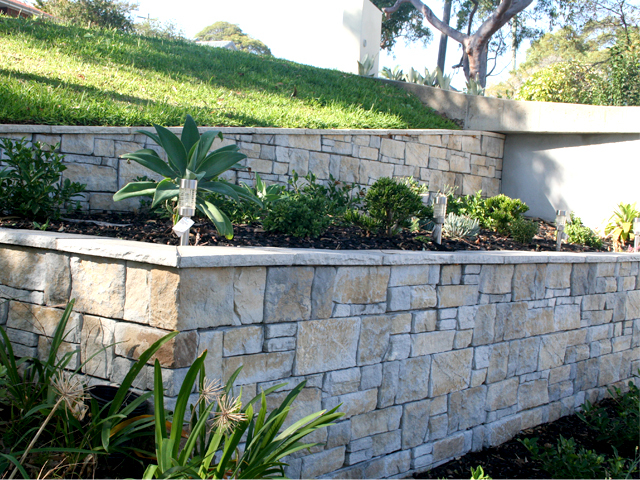 Call CastStone on 08 8244 4888 to discuss your needs or visit the website for more information.